Sign on the door at the TSA Pre✓ enrollment center I visited. 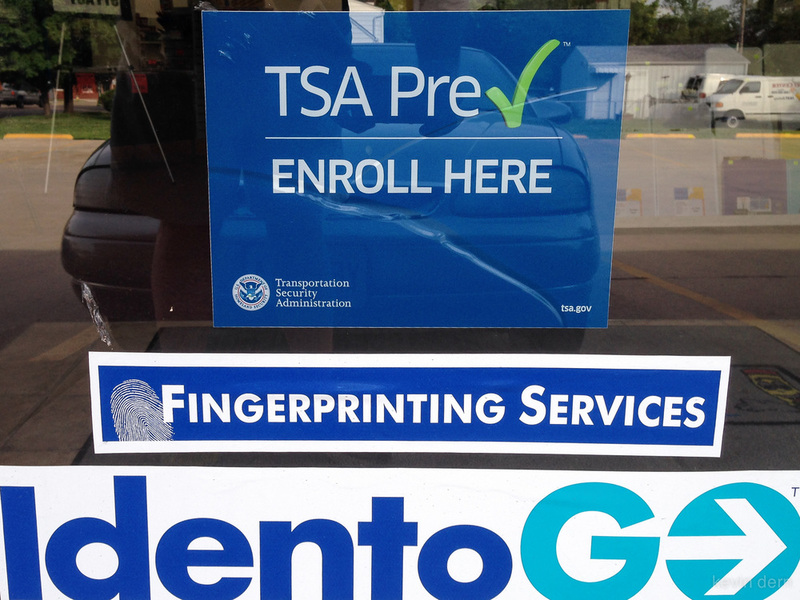 Visit the TSA Pre✓ enrollment website at universalenroll.dhs.gov and click on Locate an Enrollment Center to see if there’s an enrollment center near you. If there is more than one location near you, look at the notes for each. In my case, one of them said "Due to high volumes it is recommended that applicants make an appointment in order to minimize wait times.”. The other said "No truck parking is available at this facility.” I chose the second, hoping for a shorter line, and there was no wait at all. Go back to the main page to review the program criteria, fill out the enrollment form online and print it out. Once you complete the form you will be able to sign up for an appointment at an enrollment center near you. If no appointments are available you can just show up at an enrollment center, although they say that people with appointments will be prioritized. In my case, there were no appointments available for months, so I decided to take my chances and just show up at an enrollment center without an appointment. I arrived 10 minutes before they opened, in case others had the same idea, but I was the only one there. I'm not sure what other locations are like, but this one was kind of odd... it was a small setup in the corner of an office supply store, right between the wall calendars and office chairs. I was in and out in 15 minutes. Once you arrive at the enrollment center, your ID will be checked and scanned and you will be fingerprinted and asked some questions. Then you will be given a receipt and told you should hear from the TSA in 2-3 weeks. 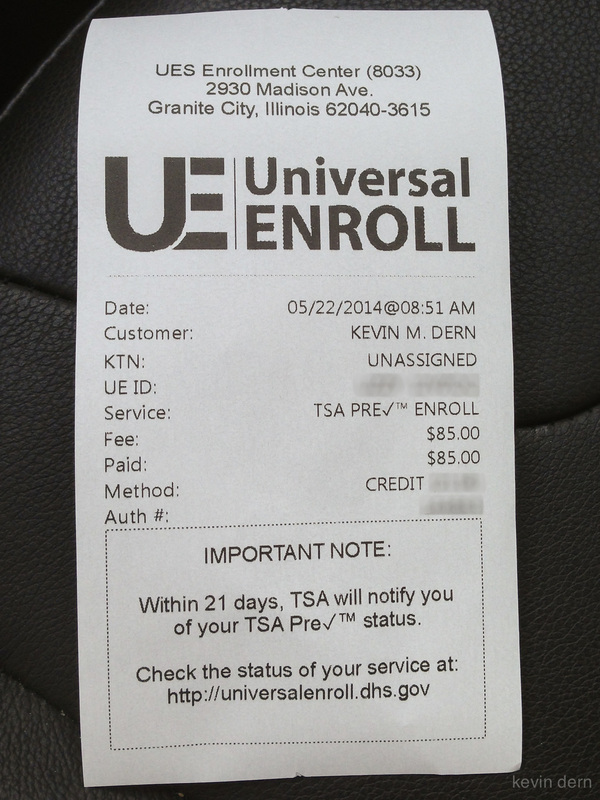 Your enrollment status can be checked online at universalenroll.dhs.gov. I hope this information helps to reduce your time standing in line so you can enjoy more time on your trip (or at least at the airport Starbucks! ).